Yuccas are evergreen, perennial sub-shrubs belonging in the family Agavaceae and encompassing 40 species. 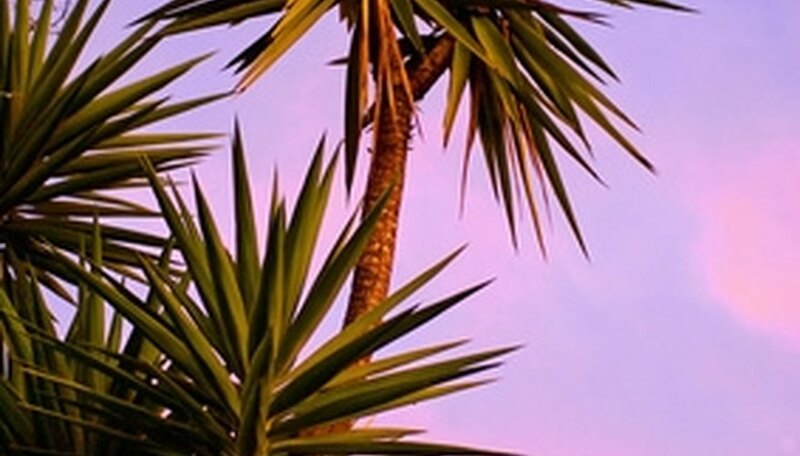 There is a variety of species native to Florida. Drought-tolerant and tolerating the state's warm temperatures, even novice Florida gardeners will find yuccas hardy and relatively maintenance-free. Choices include spineless and spiny varieties, with some growing up to 30 feet in height. Giant yucca (Yucca elephantipes) is the largest of all species, according to Floridata, reaching up to 30 feet tall at maturity. Foliage born from the center rosette is sword-like, spineless and can reach up to 4-foot in length. This Mexican and Central American native, grows well in warmer central and southern regions of Florida located in U.S. Department of Agriculture hardiness zones 9 through 11. Plants bloom in summertime with white, bell-like flowers born from a tall central stalk. Plants work well grown in containers, or as a specimen in large areas. 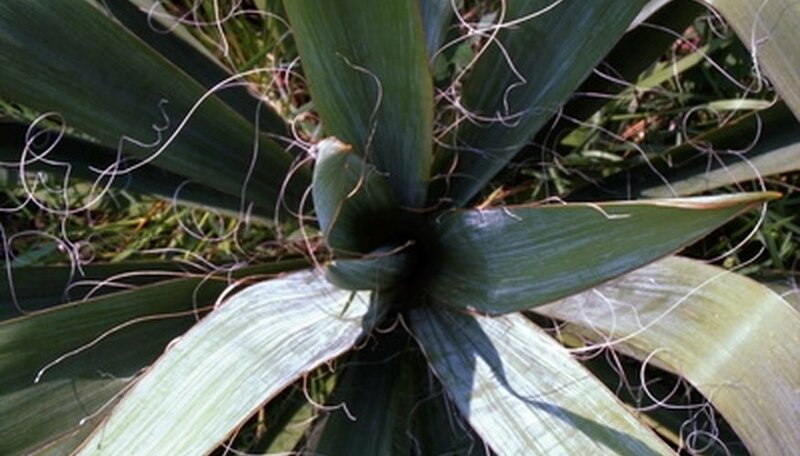 Giant yucca grows best in well-drained soils located in full sun or shade. It has a high tolerance to drought and a moderate tolerance to salt spray. Spanish dagger (Yucca gloriosa) is a Florida native, perennial evergreen growing well throughout all areas of the state. Plants have bluish-green foliage that is spineless, mound-like and spear-like, born from the center rosette. As plants age they develop an upright trunk and form branches, growing up to 8 feet tall at maturity. Bell-like blooms form during summer from an 8-foot, central spike. Flowers are fragrant, white and purple. Spanish dagger grows in full sun to shade in well-drained soils. Its high tolerance to drought makes it well suited for xeriscaping or rock gardens. Plants also work well as specimens or in mixed gardens. Spanish bayonet (Yucca aloifolia) is an evergreen, perennial, Florida native that has very sharp spiny ends on its 2-foot leaves, thus the name. It has an upright habit until plants reach anywhere from 5 to 20 feet, advises Floridata. Its top heaviness then causes the plant to fall towards the ground and continues growing. Foliage is bluish-green with springtime blossoms born on a 2-foot spike in colors of white and purple. The yucca grows well throughout the entire state, preferring full sun and sandy, well-drained soils. Plants are drought-tolerant. Spanish bayonet works well as a barrier plant due to its sharp spines, as a specimen or accent, for xeriscaping or rock gardens. Adams needle (Yucca filamentosa) is a native, perennial evergreen growing well throughout Florida. 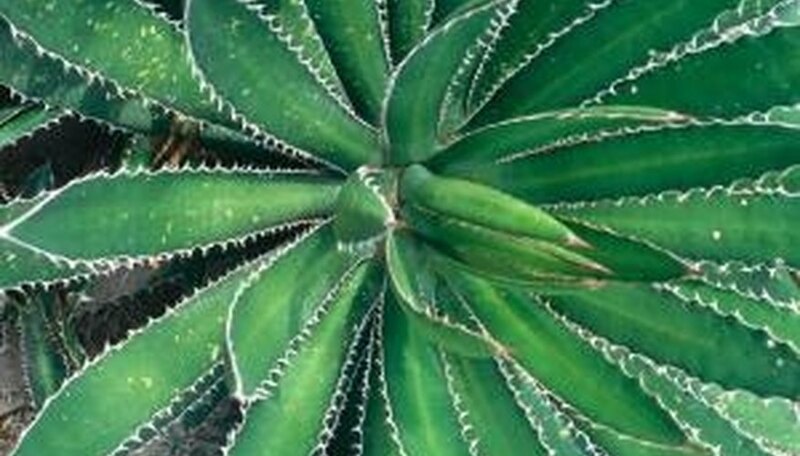 It has an upright, bunching habit with 2-foot long, spear-like, greenish foliage born from the plant's center rosette. 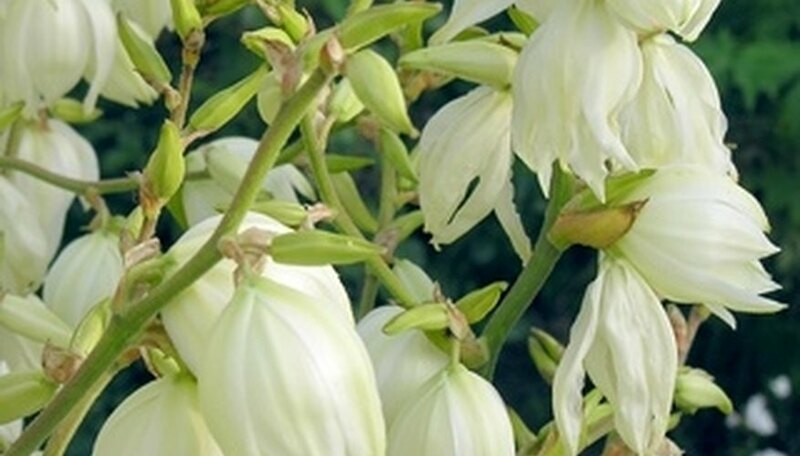 Plants bloom with white, bell-like flowers born on a central spike approximately 12-foot tall. Once plants bloom they die, but offshoots continue to grow eventually filling in the area. This is one of the shorter yucca species, growing approximately 3 feet tall and is suitable used in rock gardens, xeriscaping or mixed perennial gardens. It grows best in well-drained soils and is highly drought tolerant. Plants grow in full sun to partial shade, with full sun optimal. What Is a Yuka Plant? What Flowers Bloom in April in Florida?